We specialize in offering a wide variety of Granite Products. These granite products are available in different angle ranging from 45 to 90 degrees. 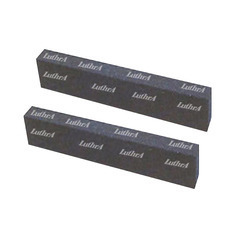 We make use of high grade cast iron to design these precision tools. Our range of granite products are is used for measuring the exact accuracy in terms of squareness and flatness respectively. Our range includes square granite, triangular granite, Parallel Granite. Triangular Granite is made of selected black granite. 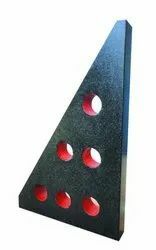 These triangularly shaped granite squares are ideal for checking X, Y and Z axes of machine bases or parts. They are very rigid and stable. The two face master angle has two narrow perpendicular edges finished flat and square. Looking for Granite Products ?